A delicious dessert wine. An ideal partner for many cheeses especially blue cheese. 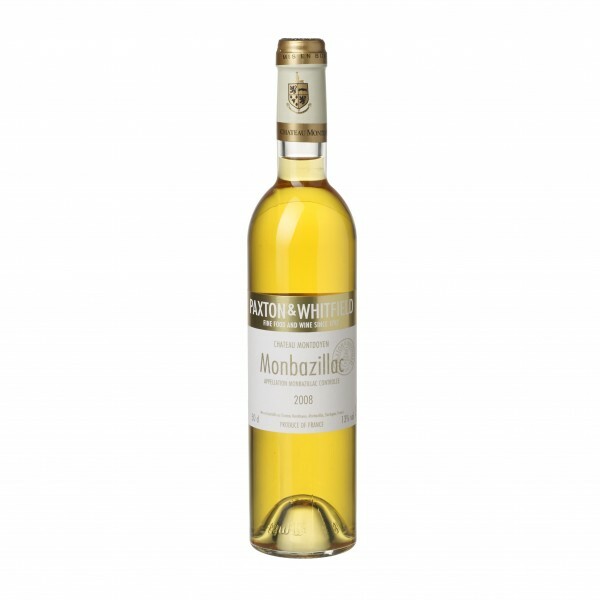 The Paxton & Whitfield Monbazillac shows its quality over many others with the underlying vein of fresh, fruity acidity which cuts through the sweetness to stop the wine from being cloying as some can be. One of the most famous flavour pairings in the world of cheese and wine matching is that of ‘Noble’ sweet wines such as Monbazillac or Sauternes drunk with the saltiest of blue cheeses like Roquefort. Salt and sweet make a great pairing as the opposing flavours bring out the best in each other. As such this will also work with other strong blues like Bleu D’Auvergne, Blue Vinney or Picos as well as long matured cheeses like vintage cheddar or aged Gouda.